We are your experts when it comes to concrete cutting and coring! 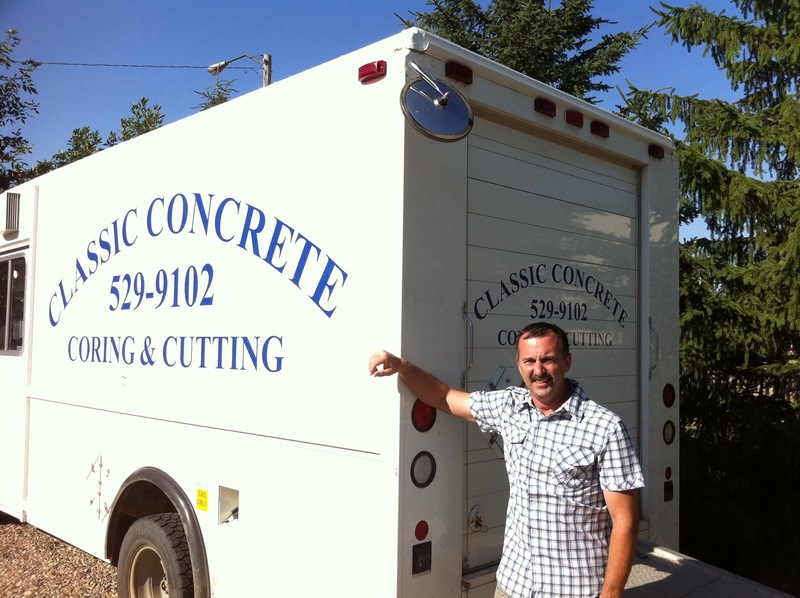 Classic Concrete is the only company in the Medicine Hat, Alberta area that specializes in industrial and large scale concrete coring and cutting with specific or distinctive services. Listening to our commercial or residential customers needs we are constantly adding/ updating equipment to provide more variety in our services. The company owners are actively involved in the business and take pride in doing the job right. We are proud to offer our services in Medicine Hat, Brooks, Bow Island, Oyen, and surrounding areas. Living and working here for many years in this great community has your hard working dollars staying right here to be recycled back into growing our community even better, together. Being local we know the pulse of this city in this industry well. Providing a range of concrete services (see our list of services) by well trained workers including a qualified GPR (Ground Penetrating Radar) Scanning licensed professional will help you be confident in all your renovations or new projects. Other services of using our environmental friendly electric saws for indoor cutting keeps safety high on the list for all of the workers involved. Our field operators who are valuable to us and run our trucks have met appropriate safety requirements including Police checks, Safety Certificates such as First Aid, Confined Space, Fall protection, to name a few, and/or CSTS (Construction Safety Training System) and H2S Alive. Most personnel have gone through orientation with many companies on their sites. We are currently in the process of adding to our safety protocol COR for our company which should be completed soon.